Saint Mary-of-the-Woods College is committed to providing a safe environment in which students, faculty, staff and visitors can learn, teach and work. Security personnel are dedicated around-the-clock to the safety of our students and campus community. Campus Security can be reached on any campus phone by calling ext. 5253. If calling from an outside phone, please call 812-535-5253. In an emergency, call ext. 6200 from any campus phone or 812-535-6200. The security staff is on duty twenty-four hours a day, each day of the year. While they have an office, they generally are patrolling the campus and checking the buildings to ensure that everything is secure and safe. Should assistance be required, security is also in contact with the Vigo County Sheriff’s Department and the Indiana State Police. In an emergency, security personnel may be reached via their radio/telephone at (812) 535-6200. Note: All security officers are uniformed. Each member of the community can subscribe free to the emergency text messaging alert system. This system is used in the case of emergencies or weather closures. Everyone is encouraged to sign up for text alerts. Le Fer Hall, our residence hall, is secured by a prox card system. The residence hall is locked 24 hours a day and 7 days a week. Only residence hall students have a prox card that will allow them into their residence hall portion of the building. Students are encouraged to use the “buddy system” after dark. Additionally, students may contact security to drive them from the parking lot to the residence hall. Contact the non-emergency number at (812) 535-5253. Security cameras are installed in various areas, included at each building entrance, on campus to increase security. 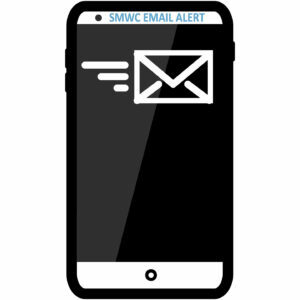 Text Alerts will be sent to all subscribers in the event of a safety or weather related emergency. Each building has an emergency responder that will ensure that the people in the building are aware of the emergency. Sirens can be heard through the campus in the case of an emergency or weather warning. The annual security and fire safety report is released by October of each year. The report is in compliance with state and federal crime awareness and campus security legislation, including the Jeanne Clery Disclosure of Campus Security Policy and Crime Statistics Act. The full text of this report can be downloaded here.